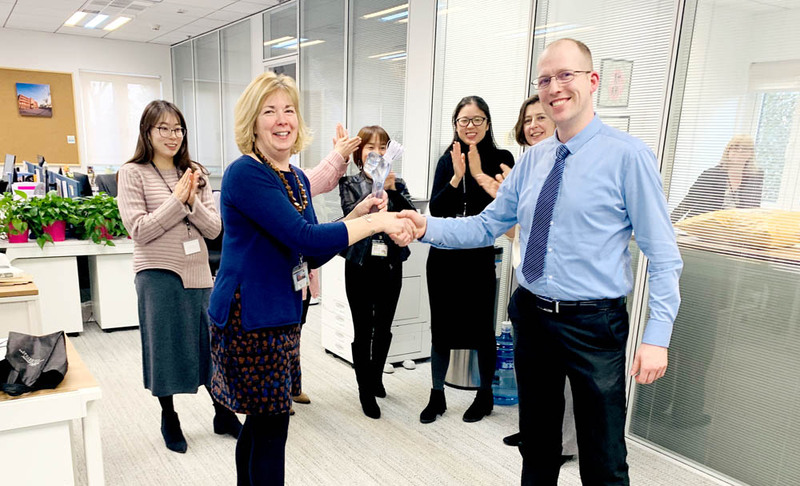 ADEN is proud to always go the extra mile for our clients, so we are especially happy to see Hartmut Friedrich, ADEN’s F&B Manager at Wellington International College in Shanghai, receive the school’s Thumbs Up award. Wellington praised Hartmut for his hard work in creating a range of delicious and healthy meals through close communication with teachers and staff, along with his close attention to detail, even recycling plastic bottles for use in student art projects. At ADEN, we believe in our commitment to improving people’s lives through all our solutions, helping our clients enjoy happier, healthier lives. Thank you, Hartmut, for upholding ADEN’s core values and playing a role in making the world a better place. Congratulations!